Detectives investigating an attack outside a Portsmouth pub are trying to track down a man they've spotted on CCTV. 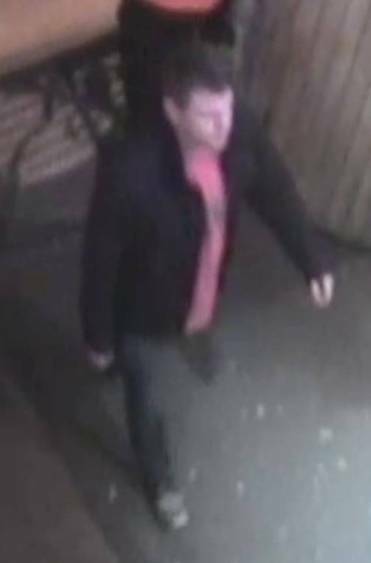 Detectives want to speak him as they think he may have vital information about the assault outside The Lanyard pub in London Road, North End. A 43-year-man was assaulted outside the pub at around 11.15pm on 22 February, and sustained a fractured ankle and other cuts and bruises. A 26-year-old man from Portsmouth has been arrested in connection with this incident and has been released on bail until 9 April pending further enquiries. Officers believe the man in the pictures may have seen what happened and be able to provide information to assist their investigation. The man officers want to speak to is described as white, of a medium to large build, aged in his mid 20s and had dark brown short hair. He was wearing a red t-shirt with an emblem on the front, a black waist-length jacket, dark coloured jeans and light coloured trainers. Anyone with information about who this man is or who may have witnesses the incident, is asked to contact Det Con Ives at Fratton CID on 101, or call the charity Crimestoppers line on 0800 555 111, where information can be left anonymously.